Ms. Deena trained at the North Carolina School of the Arts, Julliard School of Music in New York City, and received her Bachelor of Fine Arts degree from Indiana University. Her education includes training in Horton, Graham, Limon, and Vaganova techniques. At CCDE, Deena employs a graded Russian syllabus that stresses education on muscle structure for correct placement and alignment for dance development. Her professional experience includes principal ballerina with the State of Israel Ballet Company as well as artistic director with other dance companies including the Tennessee Ballet in Memphis and Evansville Dance Theatre. Deena is also currently adjunct professor of dance at the University of Southern Indiana in the Theater Department. 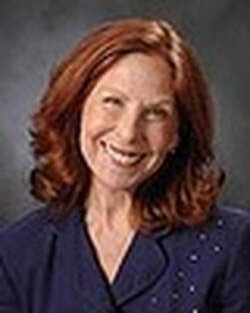 Among her many recognitions statewide, she has been named the Mayors Arts and Educator of the Year, Outstanding Leadership in the Arts Award from Leadership Evansville, Athena nominee, and most recently received the Indiana Coalition for the Arts’ Community Art Leadership Award for Arts Educators. This rich experience brings to CCDE a caliber of training, technique and style that have provided the foundation for many former students to enter the world of professional dance.